Mary Esther Wells (May 13, 1943 � July 26, 1992) was an American singer who helped to define the emerging sound of Motown in the early 1960s. Along with the Supremes, the Miracles, the Temptations, and the Four Tops, Wells was said to have been part of the charge in black music onto radio stations and record shelves of mainstream America, "bridging the color lines in music at the time." With a string of hit singles composed mainly by Smokey Robinson, including "The One Who Really Loves You"", "Two Lovers" (1962), the Grammy-nominated "You Beat Me to the Punch" (1962) and her signature hit, "My Guy" (1964), she became recognized as "The Queen of Motown" until her departure from the company in 1964, at the height of her popularity. 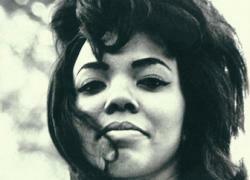 She was one of Motown's first singing superstars.